And don’t forget that daylight savings time (DST) ends at 2:00 am on the first Sunday of November which means November 1 this year. Set your clocks back one hour. DST begins on the second Sunday of March at 2:00 am which means that in 2016 it will begin on March 13. 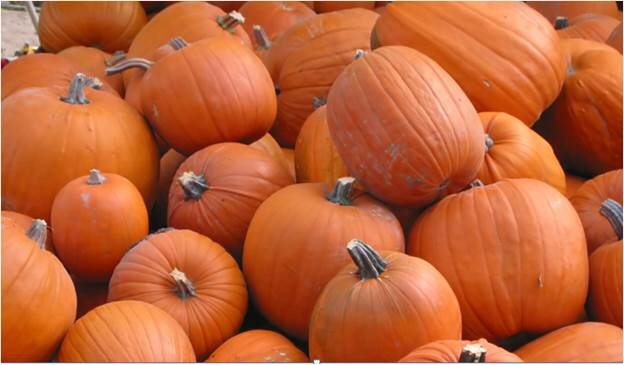 This entry was posted in News and tagged day light savings time, happy halloween on October 29, 2015 by Good Day Illinois. It’s Been a Bad Day – The Stock Market Is Still Falling, Your Car Has Been Recalled, and Then Your Dog Was Rejected for Doggie Daycare! … and then you get home and check your mail. There is a letter from the local doggie daycare center advising you that your dog has been rejected for the daycare program due to your dog’s inability to socialize with other dogs. What should you do? Do you need a lawyer? The answer is simple – call the daycare center and ask for a personal interview for your dog. Prep you dog for the interview. Your dog must not only look good, but be sure he gets enough rest before his interview so he is mentally ready for difficult questions. If your dog is having anxiety attacks, see your dog’s doctor and get a prescription for anxiety medication such as Xanax. And most important – remember that you are also being interviewed. You do not want your dog to fail as a result of your attitude and your failure to address your dog’s problems. Good Luck! This entry was posted in People and tagged doggie daycare on October 21, 2015 by Good Day Illinois. 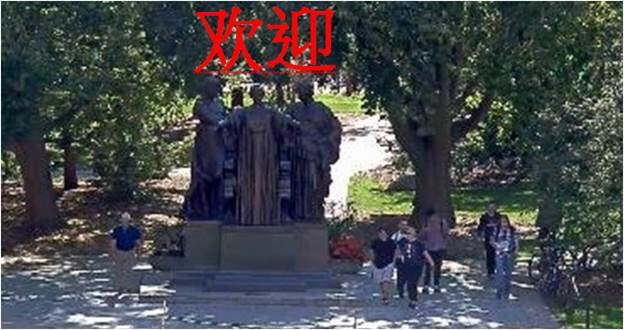 If Your Child Does Not Get Into The University of Illinois – Try Moving to China! One way or another, money dominates everything in the State of Illinois contributing to a level of corruption that the citizens of this state tolerate. See the article in The Wall Street Journal on October 1, 2015 for full details on foreign students at American universities. This entry was posted in Politics and tagged foreign students, university of illinois on October 8, 2015 by Good Day Illinois. The Freeport City Council will be meeting on Monday, October5, 2015 at 6:00 pm at 524 W. Stephenson Street, 3rd Floor. You can watch it live on Comcast Channel 17. 1st reading of ordinance dealing with fence installation. 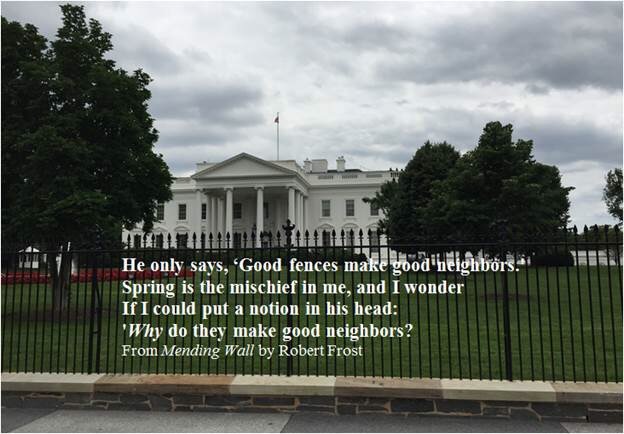 Robert Frost said “Good Fences Make Good Neighbors,” but in Freeport it used to mean the fence must be two feet from the lot line. This was ridiculous since it deprived a property owner of two feet of his property. I guess it just reinforced the concept that lots were worthless in Freeport (except for assessment purposes), so why not give up two feet! All fences belong on the lot line. Written and recorded easements from adjoining owners should not be required, but all fences on lot lines should require a survey. 1st reading of ordinance permitting deer hunting at the Freeport Country Club with bows. What a joke. Killing a few deer with bows will not solve Freeport’s deer problem. The bow hunt at the Country Club has been done for several years, but the deer problem is just getting worse. I suggest we contact Robin Hood and his band of merry men to take out hundreds of deer in Freeport and then give them to the food pantries in the State of Illinois. That will be Freeport’s contribution to the state’s budget crisis! This entry was posted in City of Freeport and tagged deer issues, fences, Freeport City Council on October 5, 2015 by Good Day Illinois. 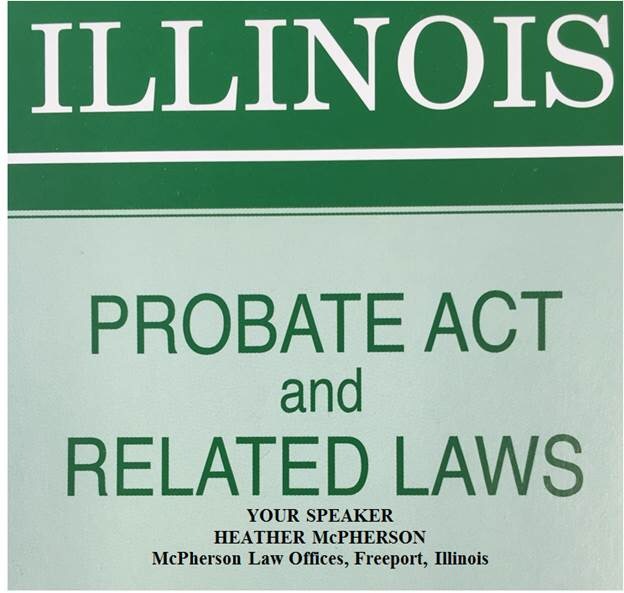 Heather McPherson of McPherson Law Offices in Freeport, Illinois will be speaking on Best Practices in Probate Law on October 2, 2015 in Rockford, Illinois as part of a continuing legal education program for Illinois attorneys sponsored by the Illinois State Bar Association. Heather is a frequent speaker throughout the State of Illinois before professional and lay groups on estate and trust related topics. 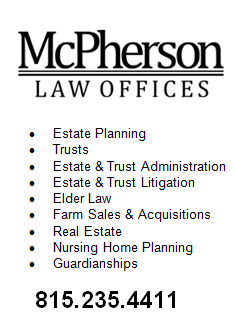 Her practice is concentrated in estate planning, probate, estate and trust administration, estate and trust litigation, guardianships, elder law and nursing home planning, and agricultural real estate. 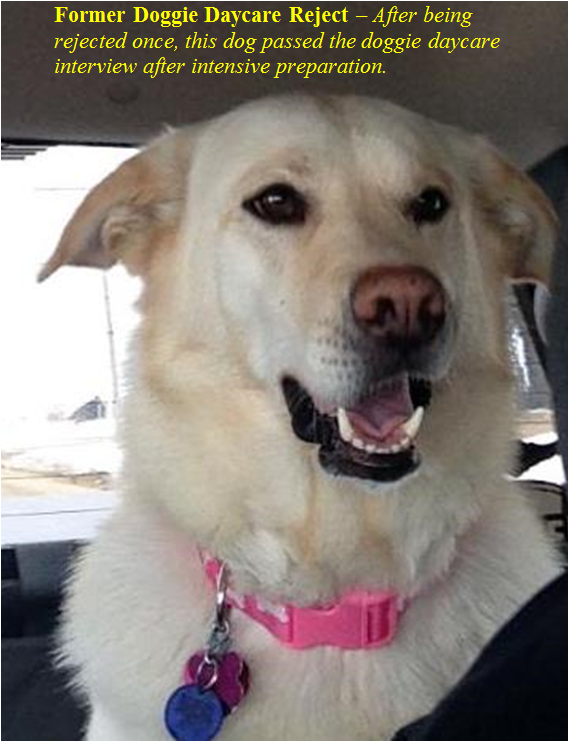 She is licensed in Illinois as well as Wisconsin. This entry was posted in Business and tagged heather mcpherson, ISBA on October 2, 2015 by Good Day Illinois.